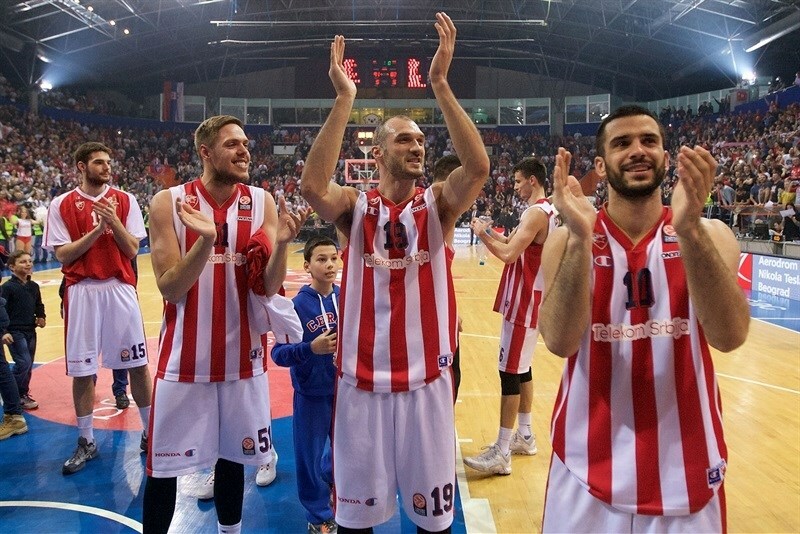 Crvena Zvezda Telekom Belgrade recorded another important win in its charmed season by beating Anadolu Efes Istanbul 91-82 at Millennium Center in Vrsac. 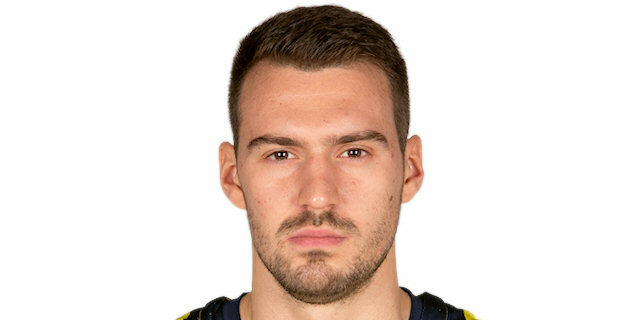 The score was tied four times in the fourth quarter, but after Dario Saric made it 73-73, Nemanja Danjubic scored 5 straight points to ignite a 14-2 charge, which Marko Guduric finished with 5 points of his own, and the home team cruised the rest of the way. 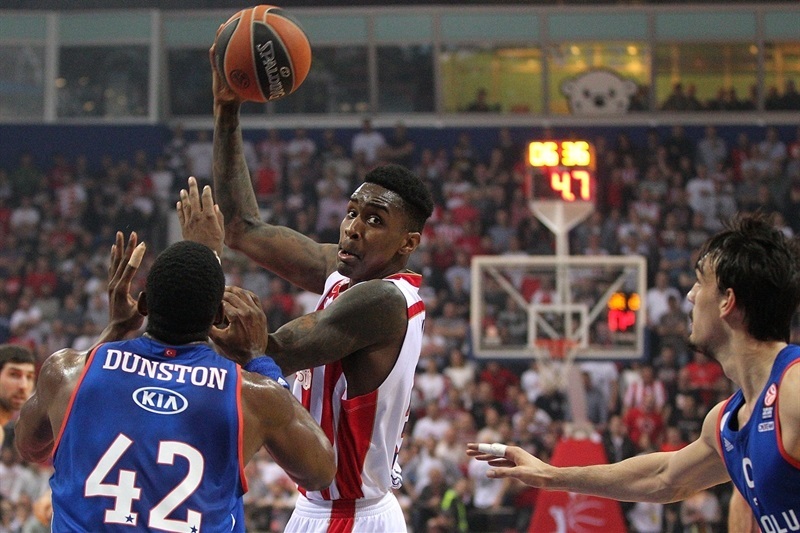 Quincy Miller led five Zvezda scorers in double figures with 15 points as his team improved to 5-3 in the Top 16 and a share of third place in Group E. Moreover, the result dropped fifth-place Efes to 3-5 and gave Zvezda the potential head-to-head tiebreaker between the sides. 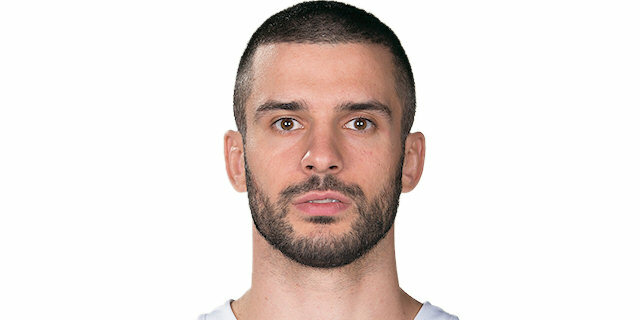 Maik Zirbes added 14 points and 9 rebounds for the winners, Guduric tallied 14 points and 5 assists, Vasilije Micic scored 13 and Branko Lazic 10. 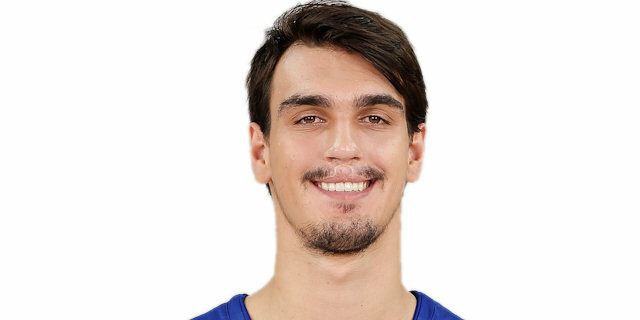 Saric paced Efes with 19 points and 8 rebounds, Cedi Osman scored 18, Jon Diebler 16, Bryant Dunston 11 and 3 blocks and Thomas Heurtel dished 11 assists in defeat. Saric went coast to coast to score the first basket of the game over Miller. Stefan Jovic got the hosts going with a steal and layup and then a Lazic steal led to a Tarence Kinsey jumper. Diebler connected on an open three from the corner to give Efes a 4-5 edge. After Dunston split free throws, Miller tied it with a put back. Dunston’s dunk nosed the visitors ahead, but it was 9-8 after a three by Lazic. Dunston scored again inside and Zirbes got his first points for Zvezda from the line. After a TV timeout, Saric netted free throws and Miller took a rebound coast to coast for a layup. A Micic triple brought the fans to their feet and gave the hosts a 16-12 advantage. 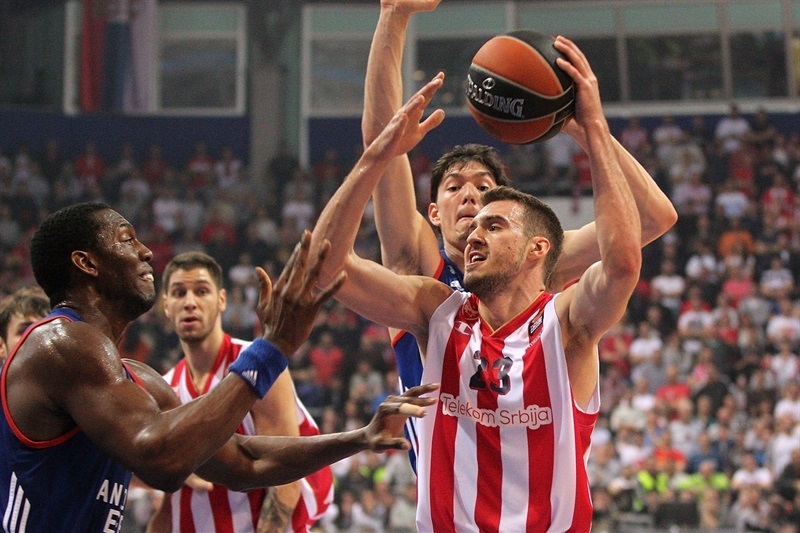 Micic took charge and darted through the Efes defense for a layup-plus-foul and a 6-point lead. Dogus Balbay produced a highlight with a spin in the paint and a floater, but Vladimir Stimac muscled his way to an offensive rebound, basket and foul. Diebler closed the gap with another three, but free throws by Miller kept Zvezda in charge. Alex Tyus’s layup and Micic’s free throws made it 24-19, which is how the wuarter ended, but not until Miller produced another highlight with a blocked shot on Tyus. Stimac turned another offensive rebound into points, this time from the foul line. But Balbay drove for a layup, collected a steal and dished to Osman for a layup to cut the difference to 3. Tyus avenged his rejection by blocking Miller, but another offensive board by Stimac led to a Lazic layup. Dunston and Guduric traded baskets to make it 30-25. 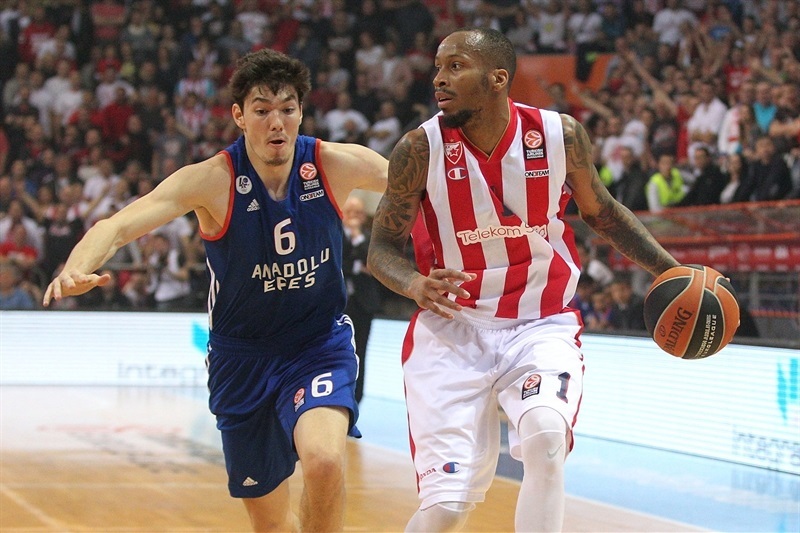 Marko Simonovic scored for Zvezda on the offensive glass, but back-to-to-back triples from Saric and Osman drew Efes within 1 midway through the second quarter. After a timeout, Simonovic rifled in a three-pointer for the hosts. Jovic was called for an unsportsmanlike foul on Saric, who netted the resulting free throws. A minute later, Saric tied the game from the line. Efes took the lead on a Diebler three, but Kinsey pulled up from the top of the key to even things at 38-38. Saric nailed a jumper and Kinsey was whistled for a technical foul, after which Dunston and Diebler pushed the visitors to a 5-point lead. 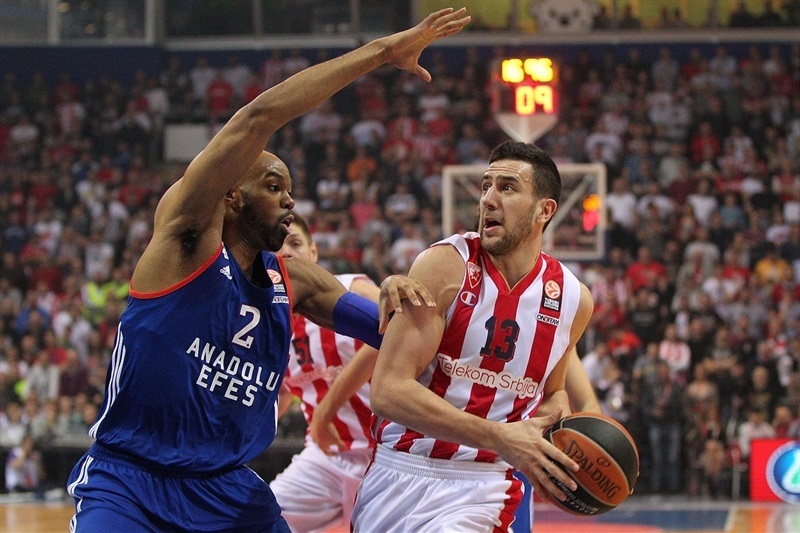 Diebler drilled a three – his fourth of the game – to cap an 0-8 run and give Efes a 38-46 halftime edge. Guduric opened the second half with a three and Miller followed with a steal and slam. 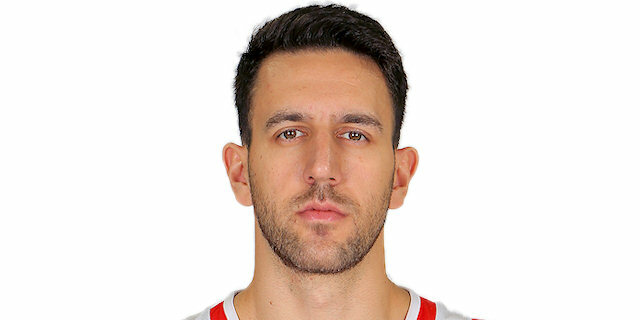 Young Furkan Korkmaz revived Efes with an open three-pointer. Zirbes added a pair of free throws and contributed a steal that led to a Lazic layup. After a tough layup by Osman, Zirbes’s vicious slam made it 49-51. Saric’s standout night continued with a nifty basket, but Lazic made another triple and Miller spun by the basket for a basket and a 54-53 Zvezda lead. Efes called timeout after which Osman canned an open three. On the next possession, Osman drew a foul and sank 2 free throws. 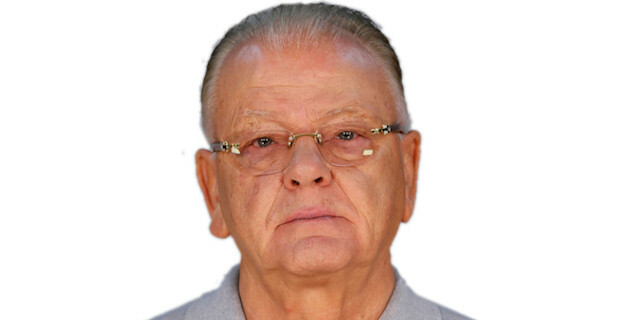 Guduric spotted a cutting Miller for a slam. Miller missed three times from the line over two possessions before finally making one to bring his team within 57-58. 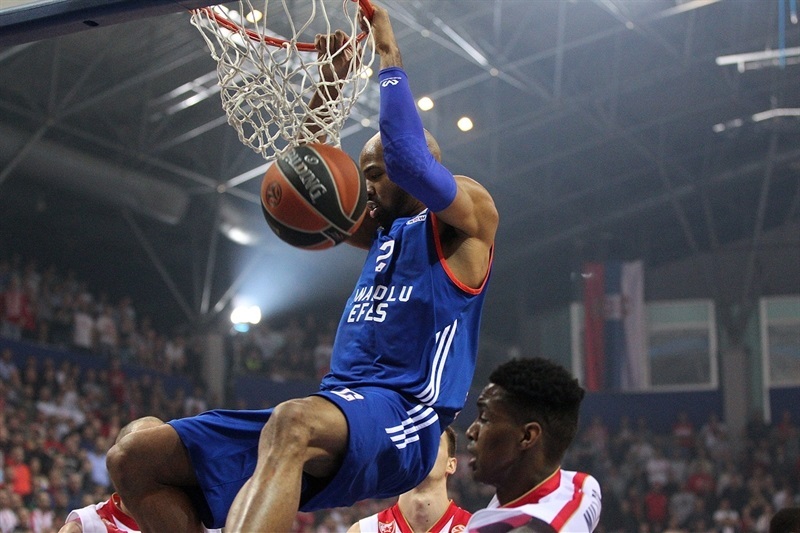 Efes’s Derrick Brown nailed a jumper for his first points. Miller sank 2 free throws and recorded another block, this time on Brown. Micic buried a pull-up jumper that gave Zvezda a 61-60 edge. Brown set up Tyus for a slam to quickly regain the lead for Efes. A Balbay triple gave Efes breathing room, but Zirbes ended the quarter with a basket inside to make it 63-65. Zirbes tied it with the first basket of the quarter, but Heurtel responded immediately with a layup. Zirbes hit from mid-range only to see Dunston sink a baby hook. Efes found itself in foul trouble after Diebler and Dunston each committed their fourth on within seconds of each other. Danjubic tied the game again with an offensive rebounds and score. 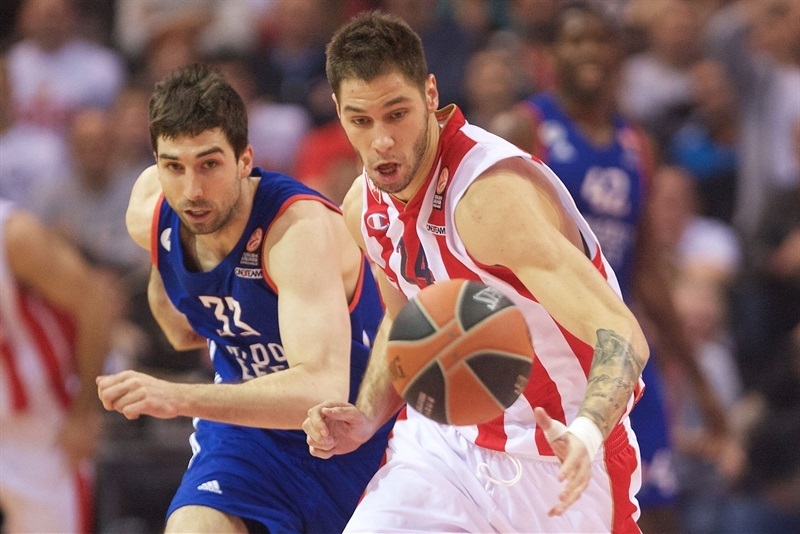 Micic banked in a jumper to give Zvezda a 71-69 edge. A timeout seemed to cool off both teams. And soon Miller came out with 4 fouls. Saric evened things with a jumper, but Dangubic hit a three and then finished a fast break after a Guduric steal. Zirbes free throws capped a 7-0 surge that made it 78-71. 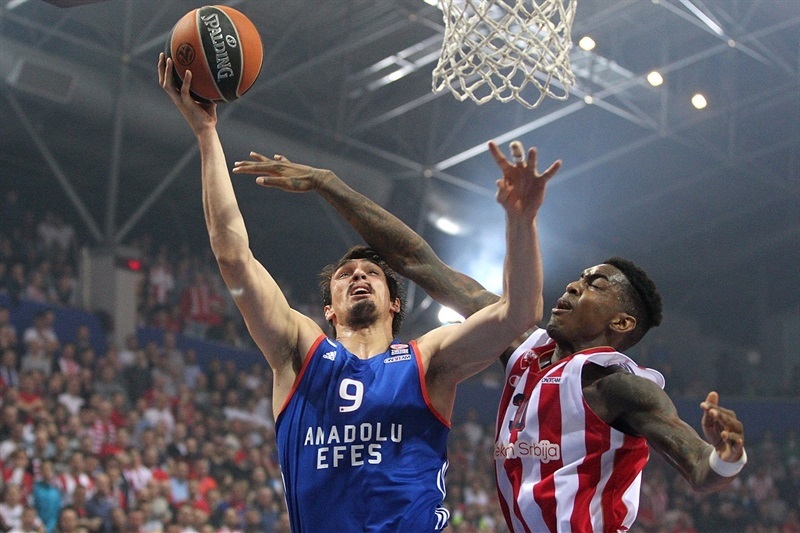 Saric scored inside, but Efes missed its next 3 shots and Micic‘s layup with 2:20 remaining restored a 7-point cushion. After Dangubic intercepted a Huertel pass, Guduric hit a three and then added free throws to cap a 14-2 run and make it 85-73. Osman ended the Efes drought with 4 free throws. Simonovic made free throws for Zvezda, but Diebler countered with a three-pointer with 44 seconds left. If there was any remaining doubt as to the outcome, Guduric slammed the door with a basket-plus-foul with 24 seconds to go. "From the very beginning, we were good on offense but there were problems in defense. We had many problems with Efes's offensive rebounding. The guests were leading by eight points after the second quarter, but in the third we came to the court ready to play more aggressive. We managed to limit their offensive rebounds and my team played very clever. This is a big win for us." "This was a very important game for both teams. We played two completely different halves. In the first, we had character in defense but in the second it was absolutely a disaster that we allowed up to 53 points. At the beginning of the second half, we let them get seven easy points in transition after our mistakes, and that was the moment when we lost control. In next six rounds, we have a pretty good schedule and I am optimistic." "Important win. Now we are one step closer to the playoffs. I think the key was our defense in the second half and some easy points we scored." "It is so hard to find the right word. We showed our best face in the first half, but in the second we did not manage to stop Crvena Zvezda's run. Big teams have to know to do that. 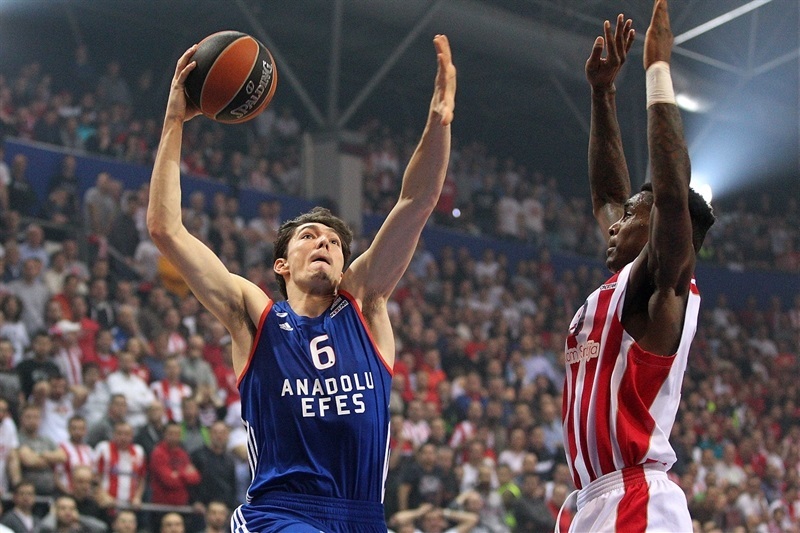 Sometimes losses can be good lessons and I do hope Efes is going to play much better in the rest of the games. Marko Guduric played a real fantastic role in the last quarter. 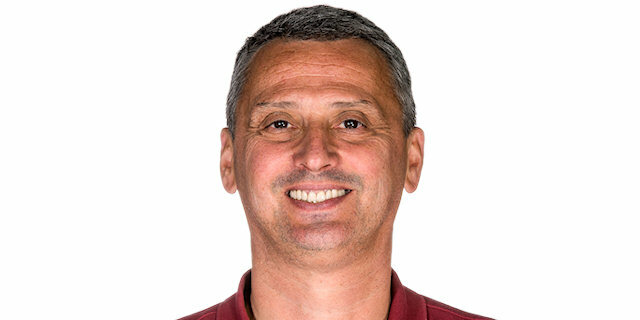 In Crvena Zvezda, the young players have good chemistry with the veterans."